Keira Knightley's ‘Last Night’ film will be opening at the 2010 Rome Film Festival on October 28th. The Rome Film Festival website also has a newHQ still of Keira (as Joanna Reed) from Last Night film (as you can see to your left...see a larger version of it below...). Meanwhile the film will close at Toronto Film Festival, a month prior to Rome Film Fest. The TIFF website has the screening date and times for Last Night (September 18th at 6 PM and 8 PM). Check out KK's Last NightHQ still below! Judi Dench has two new movies she reportedly signed on, My Week with Marilyn and The Best Exotic Marigold Hotel. Judi Dench has signed on to star opposite Michelle Williams and Kenneth Branagh in My Week With Marilyn, one of two Marilyn Monroe biopics in development. This one takes place on the contentious set of 1957’s The Prince and the Showgirl, in which Monroe (Williams) sought respectability by working with lauded actor/director Laurence Olivier (Branagh); unfortunately Olivier came to loathe the blonde bombshell and treat her like “a naughty schoolgirl.” Dench will play fellow dame Sybil Thorndike, one of the stars of Prince. Tonight at 10pm e/p on Starz airs the 2-hour "series finale" (episodes 107 and 108) ofThe Pillars of the Earth, the epic tale of passion and greed begins when a mysterious secret disrupts the succession to the English crown and an unlikely member of King Henry's family takes the throne. 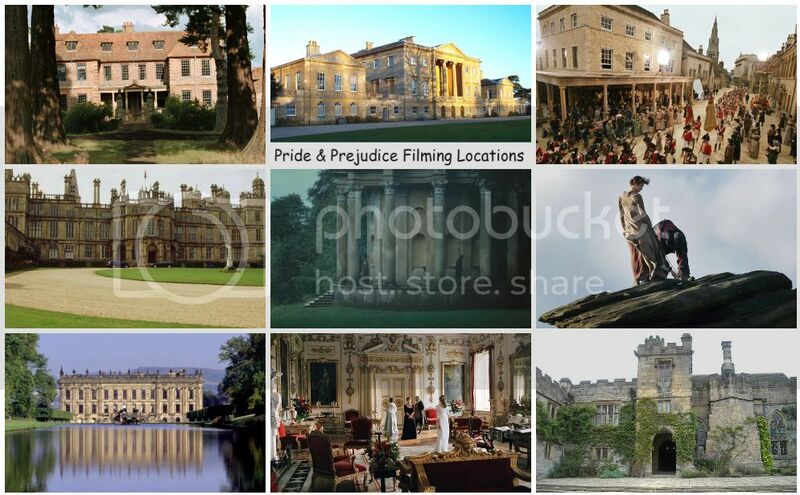 Based on the best selling novel by Ken Follett, now an 8-part mini series with Pride & Prejudice actors Matthew Macfadyen and Donald Sutherland co-starring along with a huge ensemble cast. Be sure to watch tonight the conclusion of this wonderful miniseries. Also, if you're not subscribe to Starz, worry not and go to Netflix to see the first 6 episodes or Starz' The Pillars of The Earth Screening Room to watch the first two episodes now!!! Fox Searchlight has just released a triptych-stylecharacter posters forNever Let Me go(premiering as one of the Special Presentations at the 2010 TIFF in early September and in U.S. theaters September 15th) featuring the 3 main starsAndrew Garfield (The Social Network and lead actor to soon to be Spider-Man reboot film),Carey Mulligan and Keira Knightley. Check out 2 of them featuring our very own P&P alumni and Bennet sisters'Kitty and Elizabeth...Carey Mulligan and Keira Knightley as Kathy and Ruth character-wise in Never Let Me Go. You can view a larger version of Andrew Garfield's character poster over at Movielicious as well as view all three triptych-stylecharacter posters side-by-side. Just noticed earlier today at Target's New DVD release section that Kelly Reilly's 2009 film, Me and Orson Welles,whichopened in [limited release] U.S theaters about 9 months ago(November 25th) was just recently released on DVD last August 17th (exclusively only at Target)! She co-starred in this film with High School Musical's Zac Efron and Claire Danes. View more DVD details at Amazon! Visit the official Facebook page here for this movie! Movie Casting News: Carey Mulligan in talks to join Ryan Gosling in "Drive"
Risky Business reports that Carey Mulligan is joining Ryan Gosling (The Notebook) in the action thriller "Drive." Ryan Gosling previously co-starred with Carey's P&P/An Education co-star and good friend Rosamund Pike in the 2007 crime drama/thriller Fracture. “An Education” star Carey Mulligan is in negotiations to climb into the passenger seat of the action thriller “Drive,” which already has Ryan Gosling at the wheel. “Breaking Bad” star Bryan Cranston is also negotiating to join the cast. Nicolas Winding Refn (“Bronson”) is directing the adaptation of the James Sallis novel about a nameless Hollywood stuntman (Gosling) who moonlights as a freelance getaway driver during robberies. When a bank heist goes wrong, he ends up on the run with a contract on his head and an ex-con’s girlfriend (Mulligan) in his car. Matthew Macfadyenattended (along with his TTM3Dco-starsMilla Jovovich, Orlando Bloom, and Christophe Waltz to name a few with director Paul W.S. Anderson...) the press conference and photo call Friday (August 20th) to promote his upcoming film, The Three Musketeers 3Din Munich, Germany. Filming is said to start for this movie this week (starting on the 26th) for two months in Germany. The cast has already started with their rehearsal dinner and fencing lessons. The lovely and beautifulMilla Jovovich tweeted a nice pic of her with co-stars Matthew and Juno Temple! She's awesome! Be sure to follow Milla's official twitter as she updates behind the scenes info and tweet pics of her co-stars on set on her twitter page. Rupert Friend stars as older Kevin Lewis (the main character/lead role) in the boxer/drama film The Kid (<--- full official website's contents coming soon! ), based on the best-selling autobiography from Kevin Lewis, who also wrote the screenplay for the film and co-produced it. The Kid recently premiered at both Cannes Film Festival and Edinburgh Film Festival (Read HeyUGuys' The Kid Review - Edinburgh Film Festival). Just recently, Revolver Entertainment acquires adaptation of the best seller The Kid. Check out and watch a new trailer (an exclusive courtesy of The Sunfor your viewing pleasure or watch it below embedded via Ace Showbiz!) of The Kid starring Rupert Friend, Natascha McElhone, Ioan Gruffudd, Jodie Whittaker, Augustus Prew, and David O'Hara. Tonight at 10pm e/p on Starz airs another new episode (106 "Witchcraft") ofThe Pillars of the Earth, the epic tale of passion and greed begins when a mysterious secret disrupts the succession to the English crown and an unlikely member of King Henry's family takes the throne. 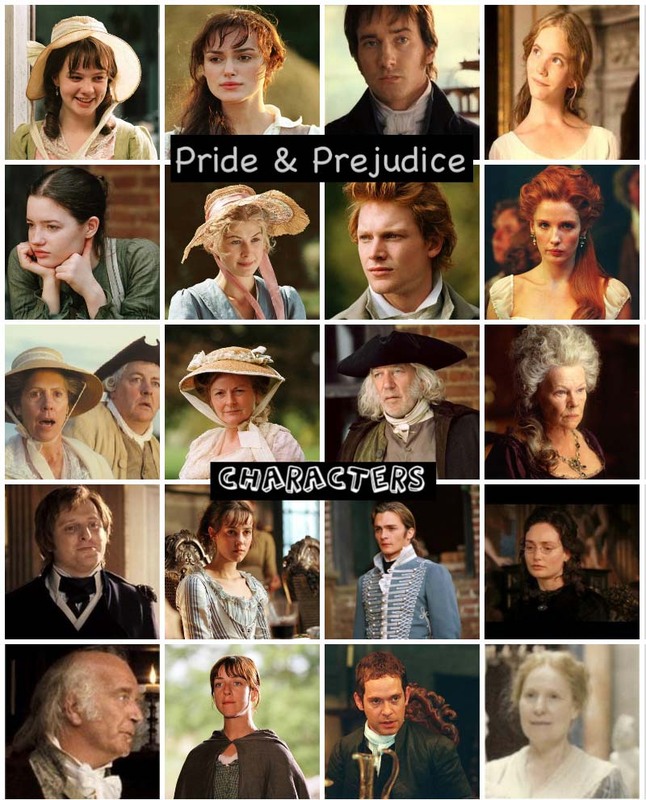 Based on the best selling novel by Ken Follett, now an 8-part mini series with Pride & Prejudice actors Matthew Macfadyen and Donald Sutherland co-starring along with a huge ensemble cast. Starz will air hours 1 & 2 July 23rd and hours 3 - 6 each Friday thereafter. The finale (hours 7 & 8) will air Aug 27th. All at 10pm et/pt. A married couple are apart for a night when the husband takes a business trip with a colleague to whom he's attracted. While he's away, his wife encounters her past love. The film stars Keira Knightley, Eva Mendes, Sam Worthington and Guillaume Canet. DVD and Blu-ray discs release next month (September) for P&amp actors'(who played the Darcy siblings in Pride & Prejudice) Matthew Macfadyen (Mr. Darcy) as sheriff of Nottingham in Robin Hood and Tamzin Merchant(Georgiana Darcy) as Alice Davies in Princess Kaiulani films, both were released in theaters at the same day last May 14th (withRobin Hoodin wide release and Princess Kaiulani in limited release). Tonight at 10pm e/p on Starz airs another new episode (105 "Legacy") ofThe Pillars of the Earth, the epic tale of passion and greed begins when a mysterious secret disrupts the succession to the English crown and an unlikely member of King Henry's family takes the throne. 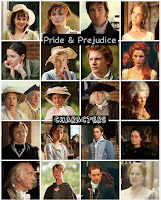 Here are a list of P&P '05 alumni with a new movie starting this Fall through Winter of 2010. Tonight at 10pm e/p on Starz airs another new episode (104 "Battlefield") ofThe Pillars of the Earth, the epic tale of passion and greed begins when a mysterious secret disrupts the succession to the English crown and an unlikely member of King Henry's family takes the throne. Looks like Aisha, a new Bollywood version of Jane Austen's classic Emma is not only showing in theaters in India, but it is also showing worldwide today (August 6th)! 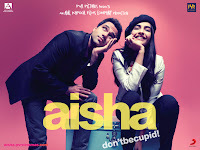 Check out Aisha's Theater listing here to see if it's showing anywhere near your city or country! Three stills including one with Rosamund Pike in one of her upcoming films, Barney's Version has just been released (via RopeofSilicon.com). The independent film, which stars Paul Giamatti (Sideways), Dustin Hoffman (Rain Man), Rosamund Pike (Pride & Prejudice), Minnie Driver (Good Will Hunting), Rachelle Lefevre (Twilight and New Moon), Scott Speedman (Underworld) and Bruce Greenwood (Star Trek) will world premiere and is in international competition (for the Golden Lion Award) at this year's 2010 Venice Film Festival in early September (1-11th). Also, it will screened in one of the gala premieres at the 2010 Toronto Film Festival (TIFF). Here's one of the three production stills from Barney's Version featuring Rosamund Pike as Miriam with co-star Paul Giamatti as the title character, Barney Panofsky. More cool and interesting stuff has been released lately on Jena Malone's new film, Sucker Punch. First, it was the release date announced last May, Sucker Punch 3D film gets IMAX release March 25, 2011 (though looks like'Sucker Punch' Won't Get 3-D Treatment, Director Confirms At Comic-Con).Then, just before Jena attended the 2010 Comic-Con, the First Photo: Jena Malone and co-stars in "Sucker Punch" was released and previewed on EW magazine. Next, the Sucker Punch Character Posters featuring Jena Malone as Rocket was released and at Comic-Con where Jena and Sucker Punch co-stars were in attendance, and following that the 'Sucker Punch' Teaser Trailer! was also released late last month. 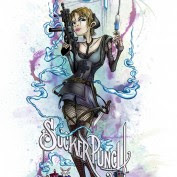 Now, a beautiful Sucker Punch character illustrations including Jena's character Rocket were created by Alex Pardee specifically for the recent Comic-Con 2010 event. As previously posted here, you've seen threenew photos of Rosamund Pike from a new photoshoot, which she was featured (along with former P&P co-starsKeira Knightley, Carey Mulligan, and Judi Denchas well as other celebrities) for British actress Emma Thompson's new book and charity project called, "SAFE." Well, that's not all, looks like there are more photos taken of Rosamund (even more than Keira) as I found 11 more gorgeous photos of RP at the photographer's website!!! Rosamund's new photoshoot is featured inthe My SAFE Place website (one of them) and at the photographer's website (all 14 of them!). Emma Thompson did this for charity (which Emma is one of the trustees). 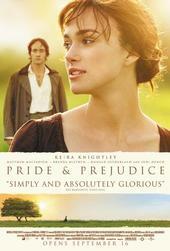 Supported by Working Title Films (which produced Keira and Rosamund's Pride & Prejudice film), Chanel, and Lady Tina Green. This adaptation, written by Abi Morgan (Brick Lane, The Iron Lady), will tell the story of the young mermaid who is willing to give up her life in the sea and her identity as a mermaid to gain a human soul and the love of a human prince. The story which has captured the imagination of adults and children since it was first published in 1837, will be the first live-action feature film version to be made in the English language. One of Keira Knightley's new films Last Night, which she co-starred with Eva Mendes, Avatar's Sam Worthington, and Guillaume Canet is set to be released sometime in late 2010. According to Keira's Last Night's co-star Eva Mendes in her new interview with Cinema Blend, Last Night will be released later this year and will premiere at the Rome Film Festival. A film that is definitely happening, however, is Last Night, a film in which Mendes co-stars with Kiera Knightly and Sam Worthington. Made prior to the sale of Miramax, the film has been hanging in limbo waiting for the company to be purchased. Now that the company is close to finding a new owner, the film, according to Mendes, will finally start showing this fall, starting at theRome Film Festival, which opens this October. Pride & Prejudice actresses Keira Knightley and Rosamund Pike (aka the eldest Bennet sisters' Elizabeth and Jane) are featured in a new photoshoot for British actress Emma Thompson's new book and charity project called, "SAFE."